Use Online Encyclopedias to gather background information and keywords about your research topic. Subject encyclopedias can be especially useful starting points. Use Online Reference Collections to search across many online reference titles simultaneously. Excellent starting place for gathering insight and exploring the pros and cons of issues in the news. Great place to start your research! Search across hundreds of reference titles and link out to other library databases. 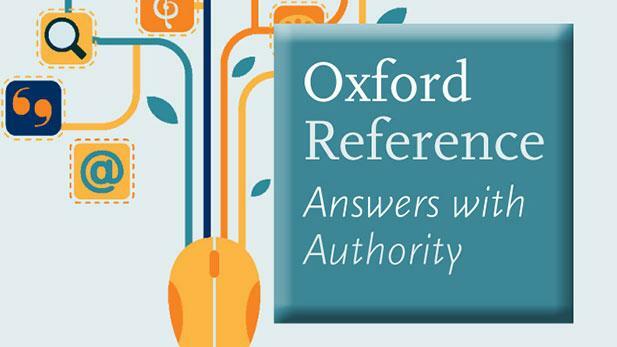 Full-text online access to a growing collection of reference books. Search titles individually or search multiple titles simultaneously. Brings together news, global viewpoints, reference, country information, primary source documents, videos, statistics and more on a variety of topics in all major disciplines. Provides information about authors and their works. Includes author biographies, interviews, plot summaries, literary criticism, full-text literary journals, book reviews and more. An electronic library of literary information including literary criticism, biographies, bibliographies, work overviews and explications, Web sites, and periodical articles. On Campus Access. Name change from Grove Dictionary of Art to Oxford Dictionary of Art in 2008. Online full-text of the original 34 volume Dictionary of Art. An ever-expanding series of expert bibliographies in the field of art history. More commonly known as Grove Music Online. Grove Music Online includes the full text of The New Grove Dictionary of Music and Musicians, The New Grove Dictionary of Opera, The New Grove Dictionary of Jazz, The Oxford Companion to Music and The Oxford Dictionary of Music. Collection of Reference titles published by Sage. Online access to Salem's Survey of Long Fiction and many titles in their Critical Insights series.